Charts, as we know, are often used in representing information in a visual sense. Because charts use images or symbols in presenting information, and can be easily devised, people rely on them in the delivery of information. As we’ve seen them a lot since school days, we’re familiar of the different types of charts, such as pie chart, bar chart, line chart, etc. A flowchart examples, is another type of chart typically used to represent order of things, or step-by-step processes. 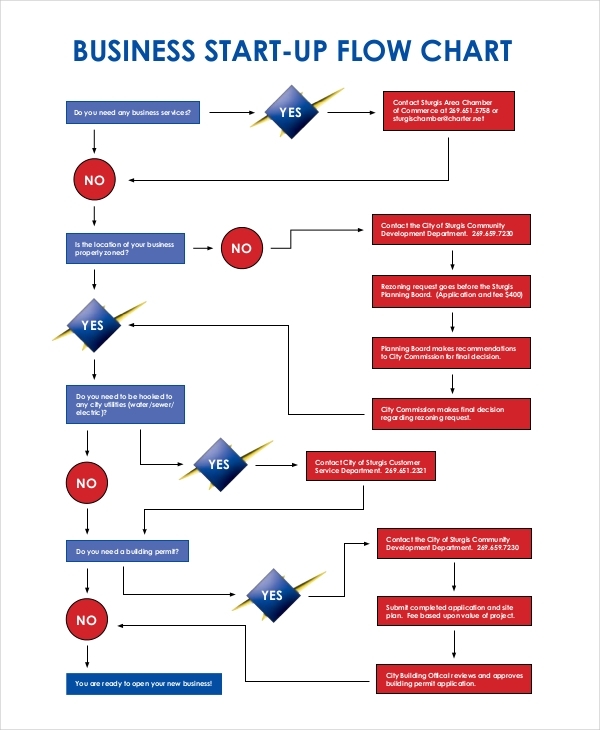 What Is a Business Flowchart? As the name implies, a business flowchart is a flowchart intended for business processes. Just like any other flowcharts, business flowcharts contain a series of steps, or processes, which in this case are created for a business or an organization. Business flowcharts vary in appearance and content, depending on the people who devised them. 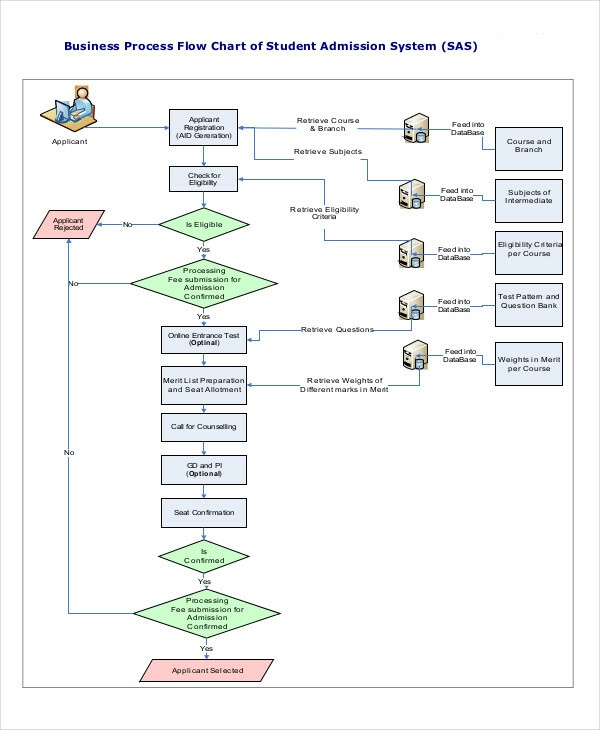 Example of business flowcharts samples are business development flowchart which indicates the flow of processes or items to be considered in building development. Business flowcharts promote proper communication. Business flowcharts provide information in an appealing way. Business flowcharts promote better understanding and comprehension. 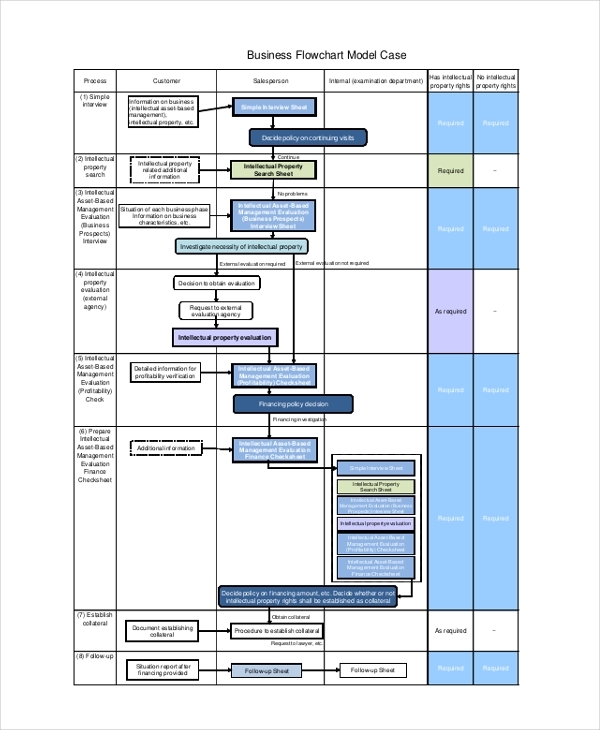 Business flowcharts efficiently map different processes and workflow inside a company or business. 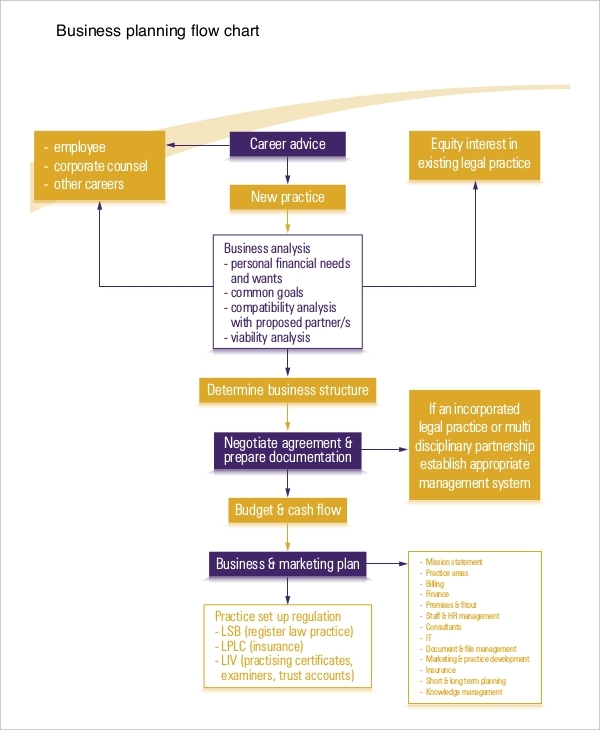 Business flowcharts provide an effective training guide to new employees. 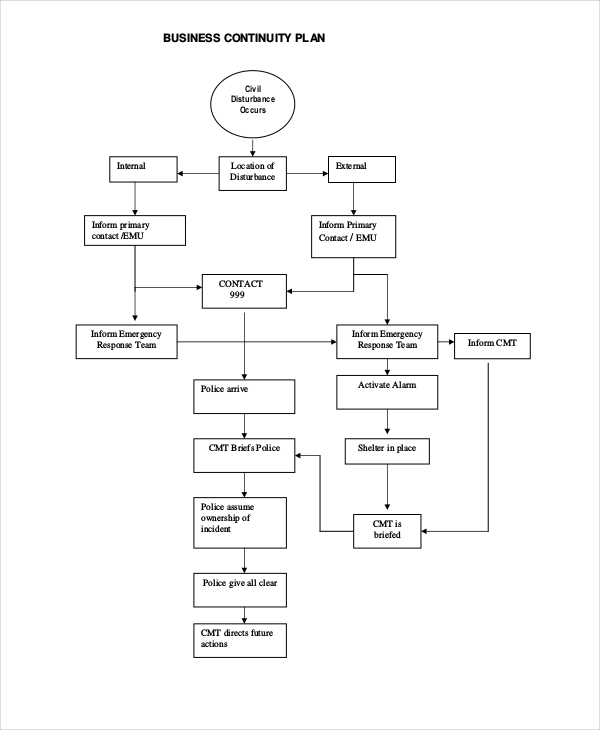 Business flowcharts provide a better way of memorizing the processes listed. Creating a business flowchart can be fun in so many ways. However, you might find this a burden especially when you have a lot already in your hands. So to make the process easier and more fun, here are some tips you need to consider in creating a business flowchart. Determine what kind of flowchart you’re creating, and why you’re creating it. Treat this as your end goal. Trust me, this will motivate you better. 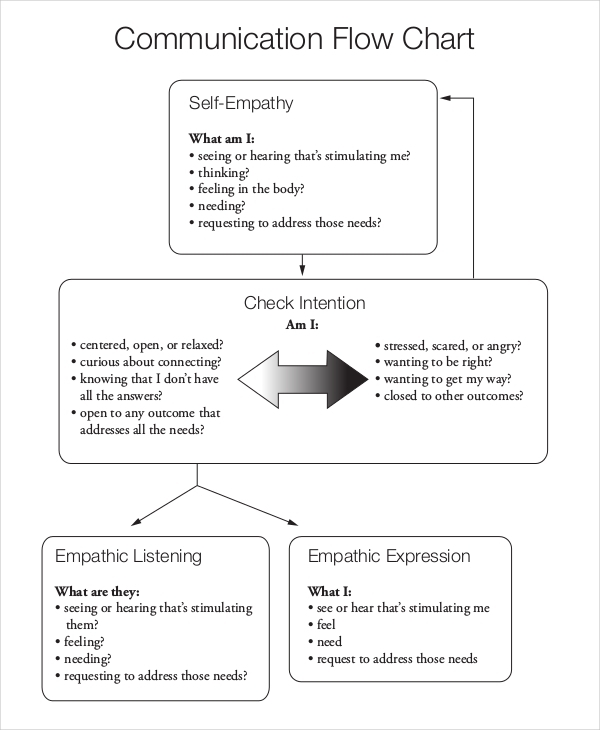 Know what points to include in your flowchart. 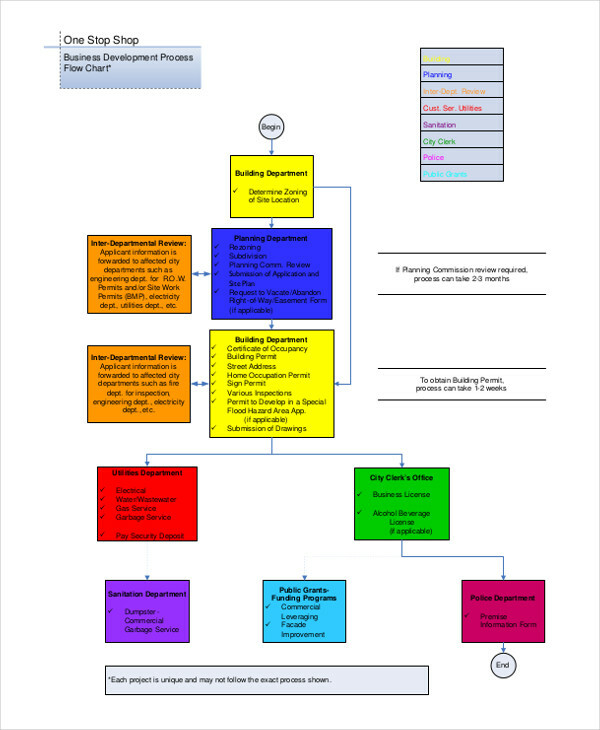 The information and steps will vary depending on what kind of flowchart you want to create. You can do proper research, and determine the proper contents to include. Write the content simply and clearly. If you’re writing about processes, you need to write the instructions clearly so they’re easier to follow. This is to, of course, avoid confusion on your readers’ part. Make it brief. Keeping your flowchart concise will cut the reading time of your readers, and will give them more time in understanding and following the processes. Insert a hint of creativity. In other words, not too much. You may add a few shapes and colors to make your flowchart appealing, but try to minimize them, and keep them consistent. Polish your work. Best way to do this is to get rid of any error spelling and grammatical errors. Ask someone to check you business flowchart example for possible errors and areas for improvement.